This template is only at the conceptual stage. Intent is to create a wiki that can dynamically keep track of daily tasks for an individual or, at a later stage, possibly even for a whole group or team of people. 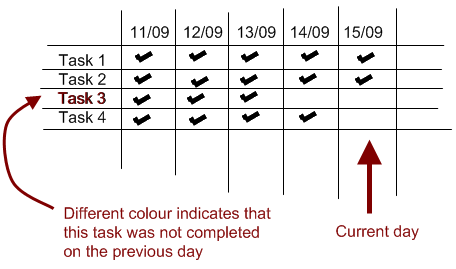 A basis may be some of the work done on the event calendar template and issue tracker template.